There are plenty of variations of No Knead bread out there on the internet. 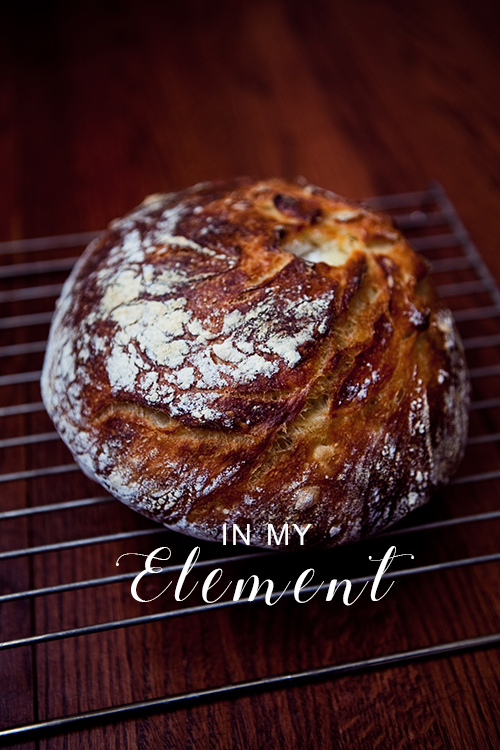 It works on the idea that when the dough has a high hydration rate, the yeast will naturally do its thing with the flour over many, many hours so your involvement is minimal. 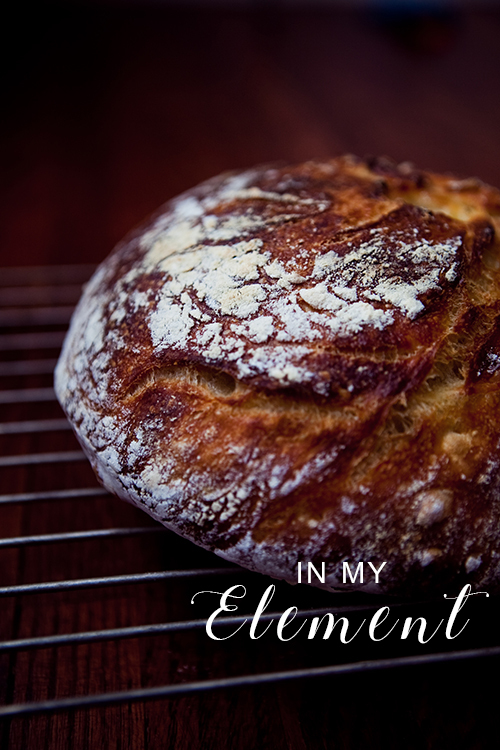 I've tried my hand at other fancy rustic breads and there is a lot of commitment and time needed for them. Sure they taste wonderful too but I don't have time to babysit such recipes. This recipe? Easy and produces beautiful results. The crust comes out crunchy and the inside is soft and airy, full of holes made by the air bubbles during the rise period. I can't wait to try my hand at other variations as well and experiment with whole wheat and see what comes out of it! In a large bowl, mix together flour, yeast and warm water until blended. Cover with plastic wrap and leave in a warm, draft free place for a minimum of 12 hours. After 12 hours, you should see some air bubbles. Sprinkle the salt over the dough and with your hand, fold the sticky dough onto itself 3-5 times. Cover with the plastic wrap and allow to sit for 15 minutes. Place the plastic wrap on the counter and coat with flour. Using floured hands, remove the dough out of the bowl and shape into a ball and place it on the plastic wrap. Dust the top of the dough with flour and place a tea towel over it. Let rise for 2 hours. Place a dutch oven with a lid in the oven and pre-heat to 500F. Remove the dutch oven, sprinkle the bottom with flour or cornmeal, if you prefer, carefully turn the dough into the hot pot. You can score the top with a knife and quickly place the lid back on and put it into the oven to bake for 20 minutes. Remove the lid of the dutch oven. Continue to bake for another 20-25 minutes until nicely browned or until internal temperature reaches 212F. Remove from pot and place on cooling rack. You can eat it hot out of the oven or allow to cool for 2-3 hours first.